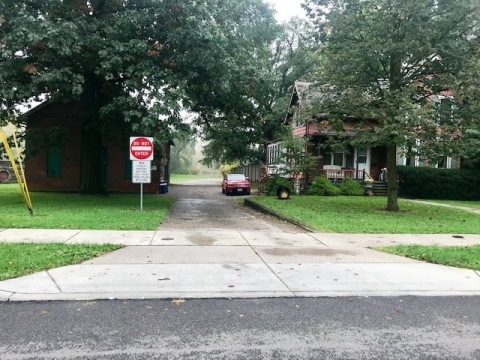 As a police officer with the City of Oberlin Police Department, I spend a lot of time patrolling the streets and neighborhoods. Although I’m not sure of the exact number of miles driven or hours spent on patrol during the past seven years, I do know that it’s probably a significant number. Any good cop will tell you the key to patrolling the streets, is knowing the streets. 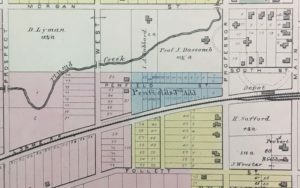 What makes Oberlin unique in this aspect is that while doing research for another topic, I came across maps which showed streets that have drastically changed over time, no longer exist, and in some cases, “kinda-sorta” still exist. 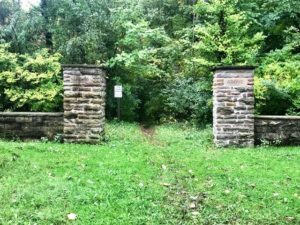 It caught my interest and I decided to document and write about it while working overtime on a particularly quiet Sunday dayshift. Please click on an image to view it in a larger format. 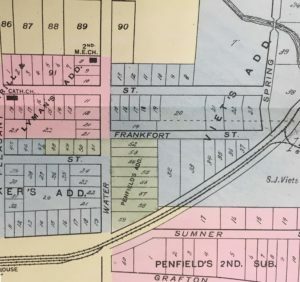 Frankfort Street ran eastbound & westbound between Water Street, which is modern day South Park Street, and Spring Street. 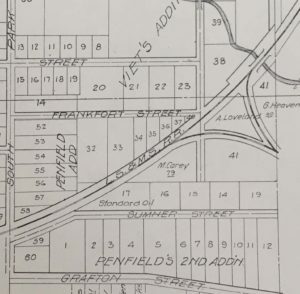 These maps show the location of Frankfort Street just to the south of Groveland Street. 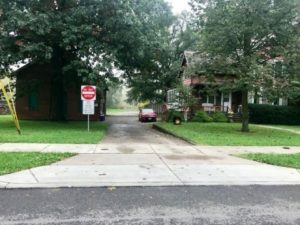 Although Frankfort Street still appears on some maps, today it’s essentially a private driveway for the residents at 173 South Park Street. 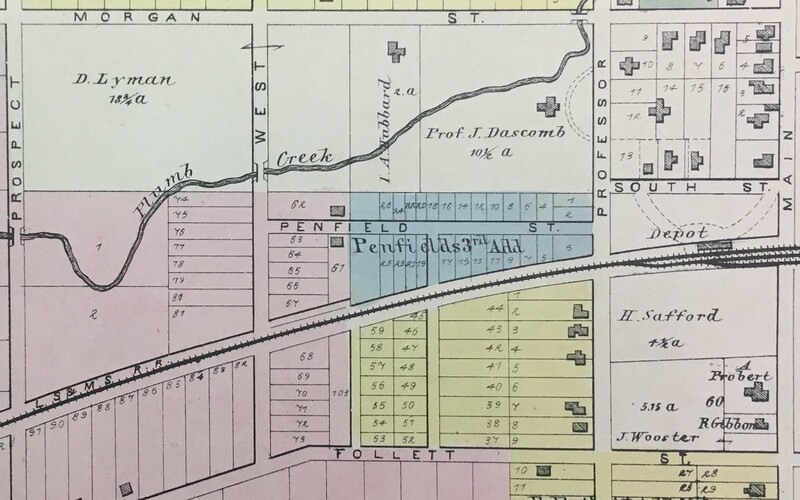 Railroad Street was located north of the old railroad tracks, with Sumner Street to the south. 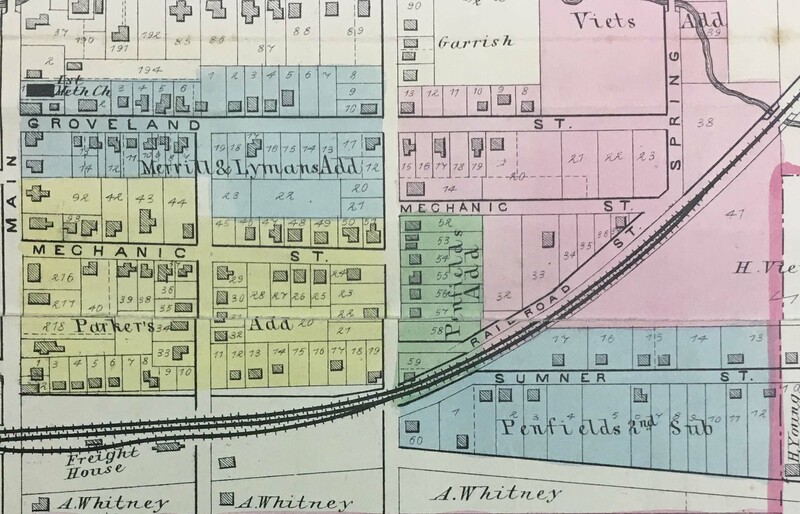 Railroad Street ran parallel with the railroad tracks and was accessed by Water Street (South Park) and the intersection of Mechanic Street and Spring Street. 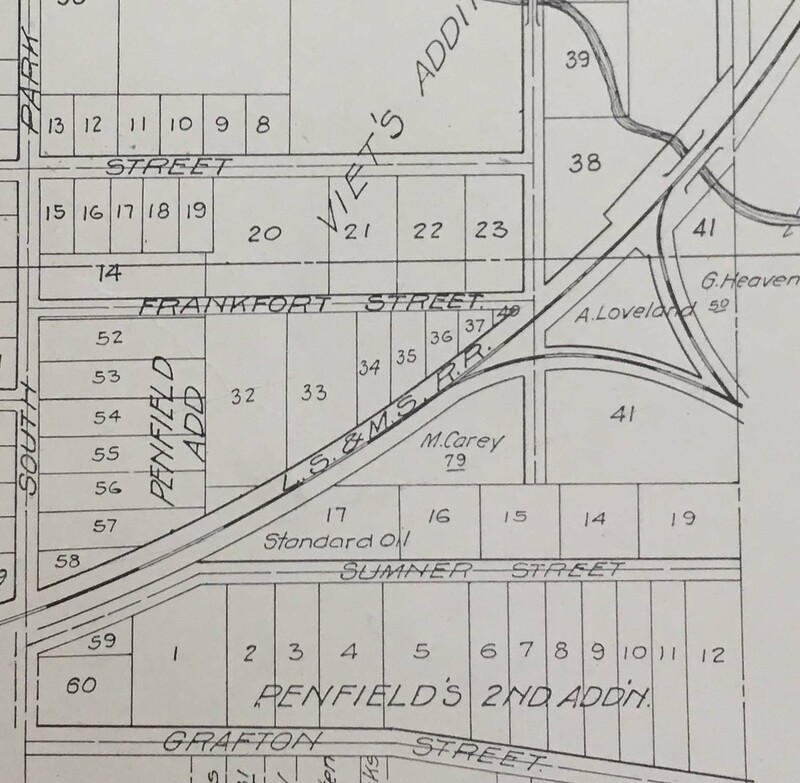 Mechanic Street to the west of Water Street would become Locust Street and to the east would become Frankfort Street. An interesting fact about Railroad Street is that on October 25, 1926, a homicide took place at the Chester Durham residence located on the corner of Railroad Street and Spring Street when he was shot and killed by William Whiteside after a drunken disagreement following money owed during a card game. 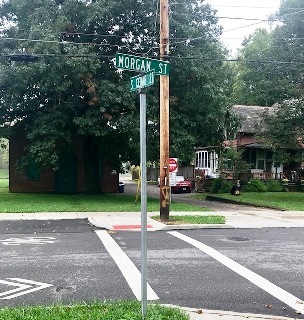 This photo shows the intersection of Groveland Street and Spring Street looking southbound to the Spring Street Extension. 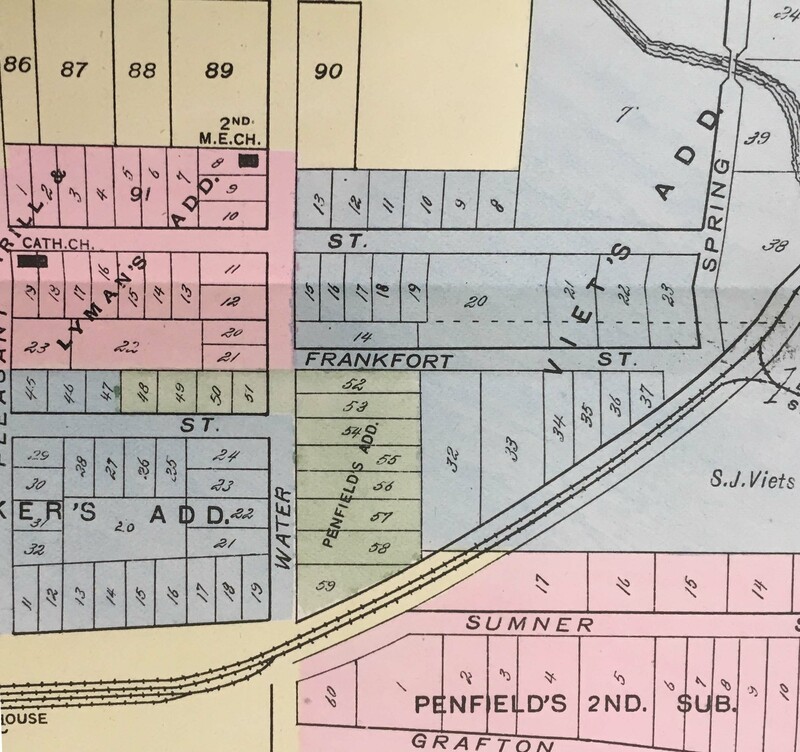 Further south would’ve been the intersection of Spring Street, Frankfort Street and Railroad Street. Today, it’s used to access the bike path and Oberlin Community Garden located behind Groveland Street. 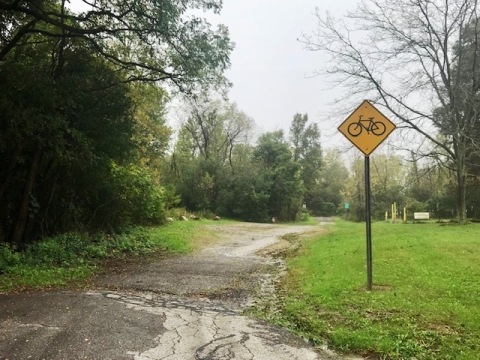 Today, Railroad Street no longer exists and cannot be seen from South Park Street or the bike path which has replaced the old railroad tracks. 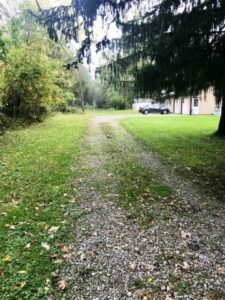 This private driveway of 225 South Park Street would’ve been the approximate location of the west side access to Railroad Street. 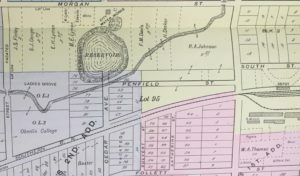 At one time, South Prospect Street continued, or was envisioned to continue, south of Morgan Street, over the railroad tracks, past Follett (Lincoln) Street and ended at what is today West Hamilton Street. 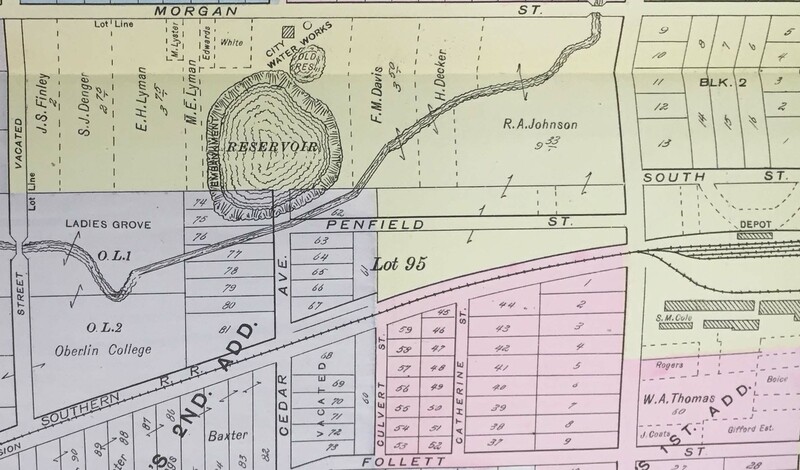 Additionally, prior to the construction of the Morgan Street Reservoir, South Cedar Street, then known as West Street and later Cedar Avenue, continued south of Morgan Street and ended at Follett (Lincoln) Street. 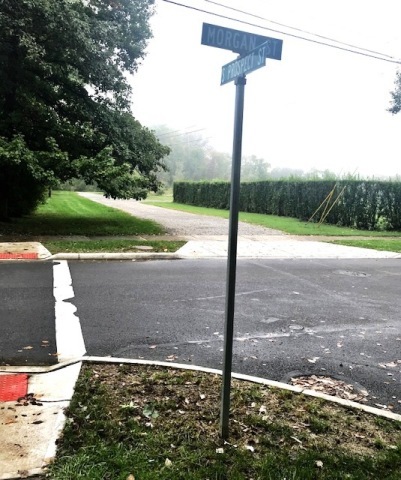 Today, South Prospect Street ends at Morgan Street other than a gravel driveway which leads to private residences. 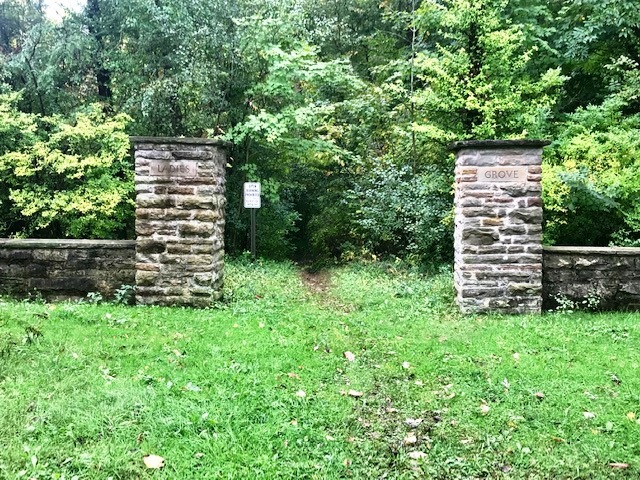 Going south past the gravel driveway leads to Ladies Grove, which is a series of walking paths connecting to The Arboretum. 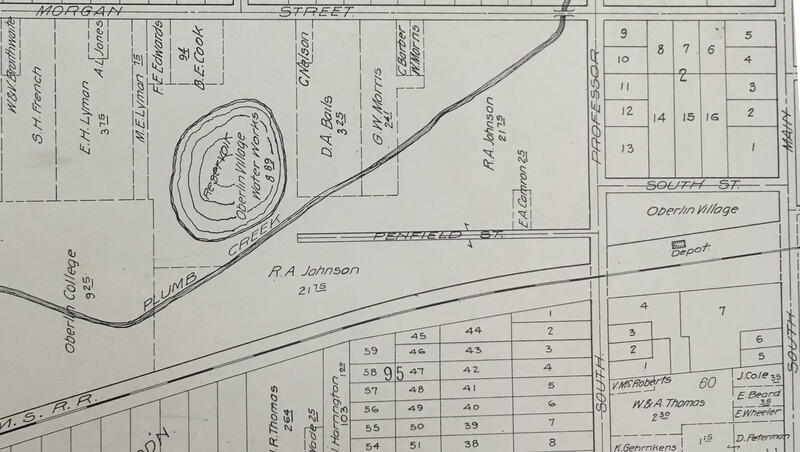 By 1912, Penfield Street still existed although the sections of South Professor and South Cedar Streets which ran south of Morgan Street have been removed. In 2018, Penfield Street is simply a gravel driveway access to The Arboretum located behind a locked gate which can only be accessed by Oberlin College Campus Safety. 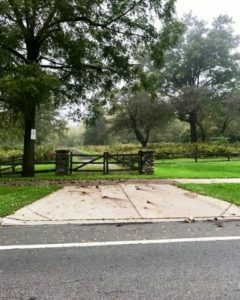 The Arboretum is accessible to the public from Morgan Street. Hovey Lane is partially a gravel driveway access for the private residence of 234 East Lorain Street and continues northbound to the Oberlin High School football field. 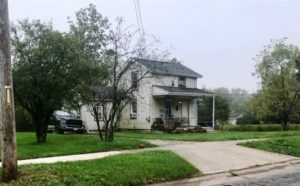 My experience with Hovey Lane occurred while training a new officer on the midnight shift. 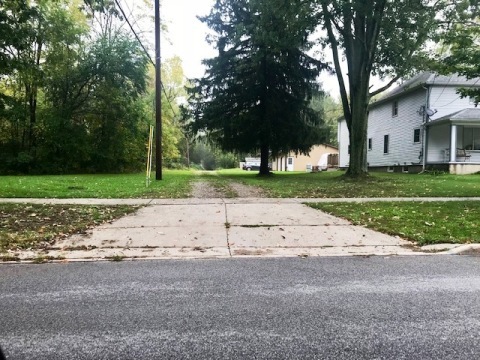 At approximately 6:00am, I instructed my trainee to drive up Hovey Lane and use it as a cut-through to patrol the Oberlin High School football field. 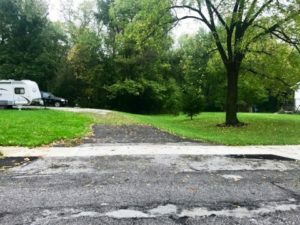 As we continued northbound up the drive, we could feel our patrol vehicle sinking in the mud. I instructed my trainee to “gun it” and informed him I would take the blame if we got stuck. Thankfully, our all-wheel drive Ford Explorer with the police interceptor package was able to power through the thick, muddy terrain. At shift change, one of the sergeants coming on duty noticed our cruiser in the parking lot, now covered in mud, and asked us “who went mudding?” I immediately pointed at my trainee and stated “he did it.” My sergeant then rolled his eyes in disappointment, instructed us to wash off the mud-caked cruiser and went into his office. 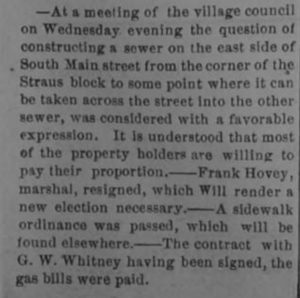 Another interesting piece of Oberlin history is that Frank Hovey served as the Oberlin Village Marshal during the 1800s prior to his sudden resignation during a council meeting on May 6, 1881. 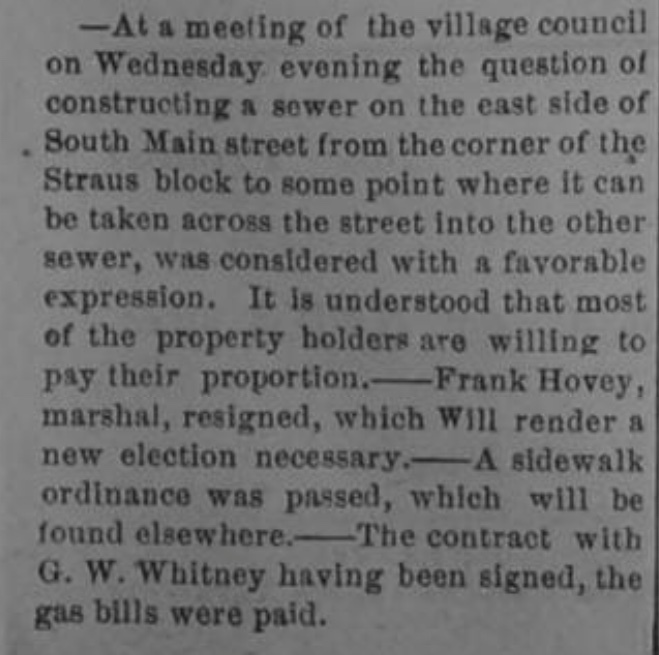 Frank Hovey would then be replaced by Constable Franklin Stone. 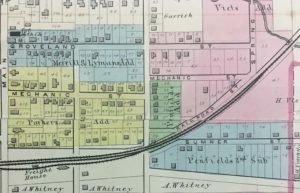 If you are interested in viewing any of the atlases used in this post, please contact the Oberlin Heritage Center, at (440) 774-1700 or history@oberlinheritage.org, to set up a research appointment. 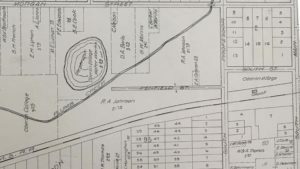 This entry was posted on Tuesday, October 23rd, 2018 at 1:48 pm	and is filed under History Highlights, Oberlin Heritage Center Collections, Uncategorized. You can follow any responses to this entry through the RSS 2.0 feed. Both comments and pings are currently closed.